As many of you know, we were once Loot Crate subscribers, and honestly-- we have 2 whole Loot Crates sitting in the box (untouched). It was just not out thing. I am a huge sci-fi, tech, video game fan (the whole family is), so I was kind of surprised, but many of the items were either things we had never heard of, or things we did not have an interest in. This is well worth the $19.99 plus shipping cost (my total cost was $29.49). 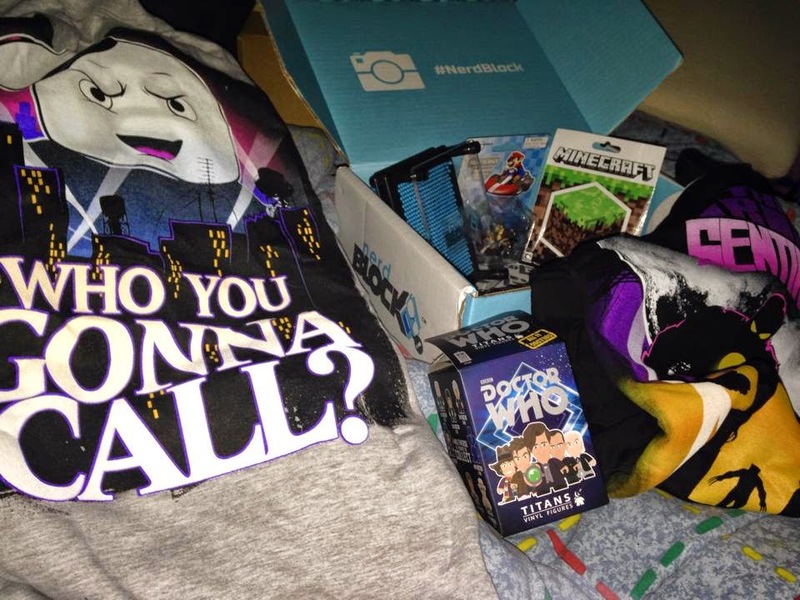 The box always send 1 shirt, and this past month was a double shirt month (yay)! We felt this box, overall, much better matched our "nerdiness" and we cannot wait for next month!